The Town Kitchen, Mamacitas Cafe, and SolidariTEA are a few East Bay companies focused on hyper-local causes and community building. Conscientious grocery shopping is something of an enlightened urbanite cliché. And it's something that marketing and brands keenly appeal to, dubbing every bean ethically procured and adorning every dairy product with bucolic imagery. Still, those flourishes can mislead: Sometimes "free range" just means a roomier killing floor and some businesses invest more in their free-trade-forward reputations than they do in their own employees. Fortunately, the East Bay is full of food purveyors founded on social justice and community-building principles on a hyper-local level. 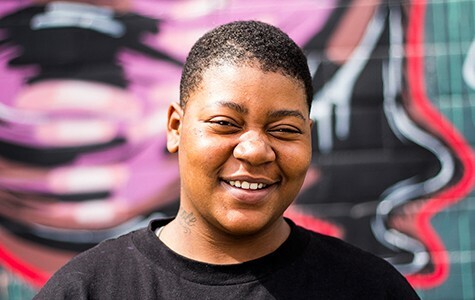 "The kitchen is all about community," said Sabrina Mutukisna, a youth mentor and founder of The Town Kitchen, which employs underprivileged Oakland youth to cook meals for delivery and catering. The Town Kitchen, which has delivered about 3,000 meals since January, offers a lunchbox for $13 containing a main course, an artisanal drink, and dessert. Through a partnership with the nonprofit I-SEEED, the Town Kitchen also provides college credit to its employees, which is in line with Mutukisna's desire not to simply groom kids for food service, but engender transferable entrepreneurial skills. "The young people are very much involved in the decision-making," Mutukisna said, referencing a twenty-year-old employee named Morgan Ester, who grew up in the foster system. "Morgan has shadowed some development meetings; she's in the room when we meet new clients; and we hope she'll take the lead in the future." Lately, Mutukisna said, the Town Kitchen has been frequently catering tech-oriented events. She considers it an opportunity for the oft-criticized industry to support the community directly. It's also an opportunity to involve partners, such as the doughnut and coffee pop-up Mamacitas Cafe. "It's important to be surrounded by organizations that are like-minded," Mutukisna said. "Partners that will push you, hold you accountable." June marks the one-year anniversary of Mamacitas, which was founded by Renee Geesler and Shana Lancaster. Currently, Mamacitas employs five young girls — four of whom are in high school — and looks to expand the operation after its birthday. Mamacitas serves Red Bay Coffee and an array of inventive doughnut concoctions, slathered in various sauces and even arranged on sticks like a kebab. 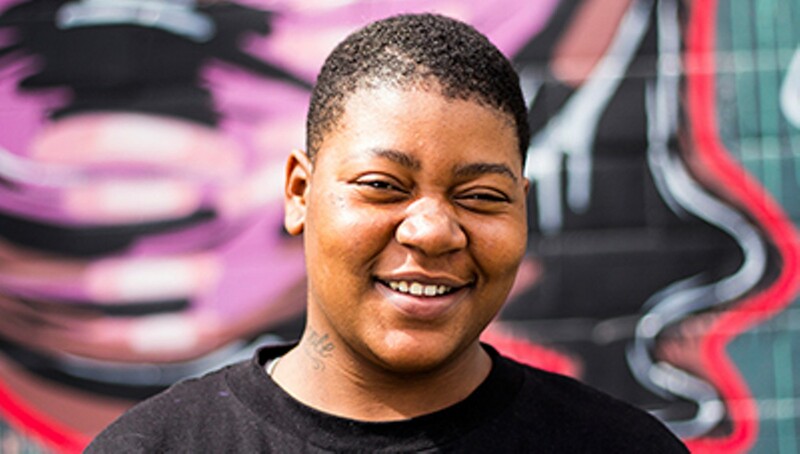 Similarly to the Town Kitchen, Geesler, who also works at the Akonadi Foundation, an Oakland-based group focused on dismantling structural racism, emphasized that Mamacitas doesn't want employees to only learn about frying dough and pouring water. "We didn't just want a pop-up cafe — our goals are to train young women in leadership and have them become mentors for each other," Geesler said. "It's less about food service and more about business and management. They're learning to be entrepreneurs." Mamacitas regularly sets up at arts and social-justice-oriented events. Beyond being a fixture of Oakland's First Friday happenings, Geesler said that Mamacitas also frequents the burgeoning downtown arts walk Second Saturdays. In February, the pop-up appeared at the event in support of the painting Her Resilience: A Mural for Women Affected by Violence in Oakland. The project enlisted local female artists to create a piece that would bring attention to violence committed against women and pay tribute to the strength of survivors. "We're fused with the arts community," Geesler said. In particular, she continued, "We want to push women-forward events." SolidariTEA employs only two people — couple and cofounders Caroline Sandifer and Trey Jalbert — but the Berkeley-based iced tea company sprung from a desire to underwrite local nonprofits while selling curative, wholesome beverages. "I was working for an environmental nonprofit and feeling restricted by grants," Sandifer recalled. "I wished there were alternative ways to fundraise for local organizations." Together, they decided to sell original iced tea flavors, earmarking ten cents from every bottle sold for local nonprofits. Currently, sales of SolidariTEA benefit the Uptown arts institution Rock Paper Scissors and West Oakland's People's Grocery. In business for a year-and-a-half, Sandifer and Jalbert were pleased to report that they intend to deliver the first several thousand dollars of an eventual $18,000 total donation to the nonprofits in May. After SolidariTEA fulfills its initial commitments, Sandifer and Jalbert plan to invite Rock Paper Scissors and People's Grocery to join SolidariTEA's advisory board and help select other nonprofit beneficiaries. "We're not interested in partnering with local arms of national organizations," Jalbert said. "We prioritize groups focused on the root causes of issues in the community." Jalbert and Sandifer acknowledged the tricky part of righteous food companies. "Sometimes the social factor isn't the thing that matters to consumers," Sandifer said. "They might just be attracted to packaging or price-points." Still, she went on, "We continue to be inspired by Rock Paper Scissors and People's Grocery." As Jalbert added, echoing many of the area's conscious entrepreneurs, "We're interested in community resilience." From courtyard gardens to family farms, three East Bay restaurants prove there is more than one way to succeed at sustainably minded cuisine. Just in time for the pot planting season, agricultural regulators weigh in on pesticides. The volunteer owner-operators seek $100,000 to re-launch nearby in November — just in time for the venue's sixth anniversary. From jian bin and xiao long bao to noodles and hot pots, here are five dishes you must try.